I’m normally known as Macpac mad, but I indulged on the weekend and finally got around to buying an Aarn flowmo bodypack; something I’ve been eyeing off for a while. 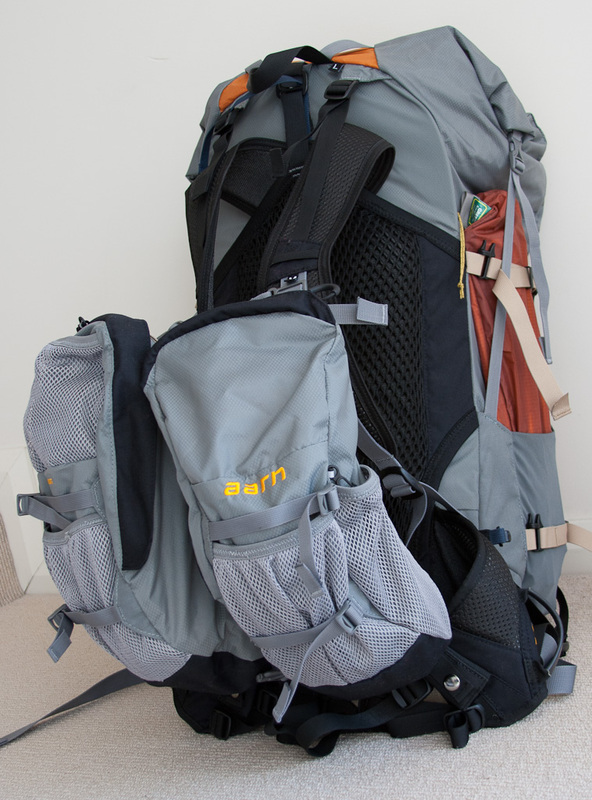 I saw these packs first in use during my trip to New Zealand, earlier this year and was interested at the concept of counterbalancing weight with front pockets. A few weeks later I saw it in action again, this time in the Snowy Mountains and got to try it on briefly and was astounded at how easily it sat on my back and how upright it made me stand. And the weight didn’t register as much as it would normally do. Since my back has its issues and I’ve found the going a bit tougher with my normal (but much loved and simply indestructible) Macpac Torre, I promised myself I’d invest in one of these packs to ease the strain on my back and keep walking for longer. Backpacking Light in Melbourne sells the Aarn packs and the guys there use the packs themselves, so they know how to adjust them and what suits your style of walking. 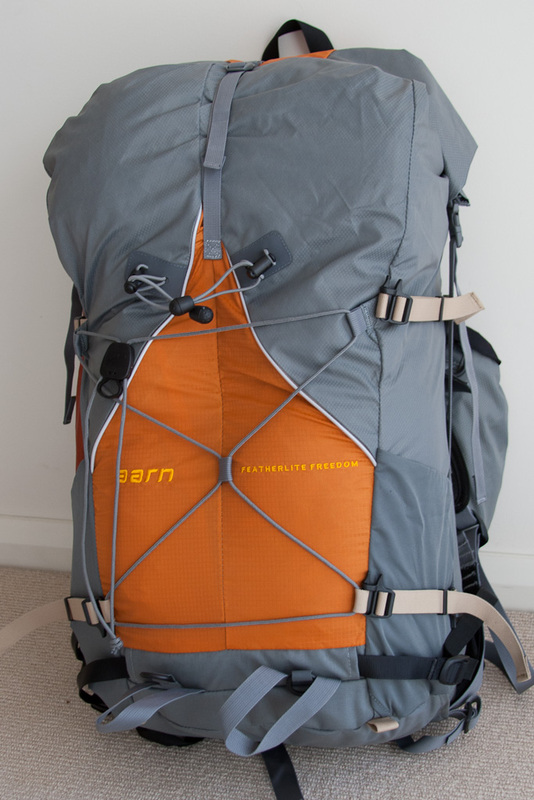 They also offer a fitting service using Skype if you’re having difficulty adjusting your pack once you’re home with it and filling it with your own stuff. I settled on the Featherlite Freedom, a lightweight pack that will just fit sufficient gear for multiple days walking. The pack has an inbuilt liner bag to keep your gear dry and the front pockets have their individual liner bags as well. The idea is that you store the light to medium weight gear in the back and fill your front pockets with the heavy stuff, such as water and food, as well as any items you need to have quick access to when you’re on the track. When I tried it on in the shop, we filled it up with about 15kgs of weight and I swear it simply did not feel like that. I can’t wait to try it out on an overnight walk, but it’s doubtful I’ll get around to that in the next few weeks. And in case you’re wondering: I’m not sponsored by Aarn, nor by Backpacking Light. Simply, when I find out about interesting equipment and experience great service, I like to pass the word on to others. That’s all there is to this post. hey great post, i saw one of these in Backpacking light also. I tried it on and couldn’t believe how awesome it felt. the independent shoulder movement is amazing. didn’t even register that I had a load on my back. revolutionary. Hi walktassie, thanks for visiting again. Aren’t these packs something else? Revolutionary is definitely the word for them. I find the amount of thinking and design that has gone into them incredible. They also weigh a lot less than your average pack. All in all very happy with my purchase.